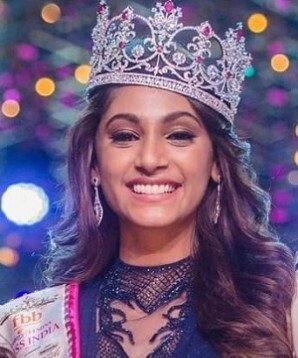 Anukreethy Vas from tiruchirappalli wins the Femina Miss India World 2018. Throughout the Pageant, she performed brilliantly with poise, grace, and style and the judges were taken aback. She was among 30 other contestants who has left the country awestruck today. Anukreethy Vas is a small town girl from Tiruchirappalli born to Saleena Vas and V Achchyuta Prasad on 28 September 1998. Schooled at RSK Higher Secondary School, Tiruverumbur, Tamil Nadu. 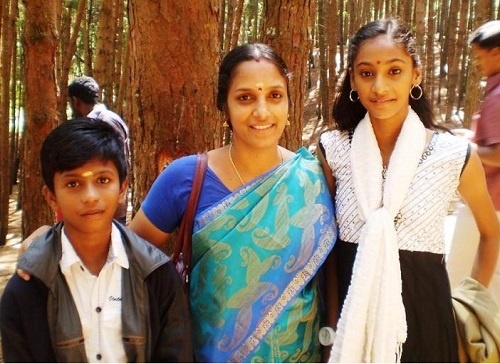 She lives with her Mom, grandmom and a younger brother and is currently pursuing her Bachelor's degree in French from Loyola College, Chennai. Its an extraordinary story of an ordinary household that is sure to bring tears to everyone...The tears of joy for her courage and determination to come out triumphant and tears of sadness to hear that her own father V Achchyuta Prasad, abandoned her at 7 and her little brother. All hell broke loose. NO!!! One would imagine that the laughter, love, joy, togetherness would have all just fallen apart, but in fact, steadily his absence made them stronger. The two strong pillars, her Mom Saleena Vas and her grandmother, both cuddled the little kids and started life all over again. Anukreethy said that her Mom fit into her father’s shoes perfectly and stood like a rock through thick and thin. Hats off to this Super Strong Simple Saleena who has always had a smile and has been the backbone. It is her Mom who has continuously struggled to ensure to keep a happy and a united family. Well, the unassuming granny dear’s contribution is remarkable. Gran’s hugs and kisses, preparing and feeding yum food, storytelling was all part of the game to keep the duo brats happy. In the absence of her father, she felt even more empowered to venture out into the male-dominated sport and other issues. Anukreethy joined the National Cadet Corp, took to athletics and is an ardent bike enthusiast. She felt no fear or insecurity whatsoever as the home environment was always spread with love and joy no matter the circumstances. Anukreethy left no stone unturned and took part in every activity in school and college and just had one thing on her mind: with a strong support from her Mom she could aim for the moon and nothing was impossible. Anukreethy has been modelling for some great brands but it was all because of her Mom’s support and encouragement she decided to give it a shot at the Femina Miss India Tamil Nadu 2018. All this beautiful teen needed was a platform to showcase her talent. A dusky, sharp-featured teen who is intelligent, down to earth, sporty, courageous, gutsy, practical, confident and vivacious, it only seemed realistic to give it a shot. Anukreethy will proudly represent INDIA at the 68th edition of the Miss World Pageant at Sanya China on 8th of December 2018. She is confident of bringing home the crown where she will have to compete against 118 contestants from across the globe. Preparations are on full swing and the whole country will be waiting and watching for another surprise. Manushi Chhillar surprised the country in 2017. It is certainly the former President the Missile Man - Sir AP J Abdul Kalam. From a small town newspaper vendor to being a scientist and inventions credited to his name. Anukreethy believes she can dream big and achieve anything if one has the will to. Don’t forget to tune in on the 8th of December 2018 to watch this 19 Yo French Literature student participate in this prestigious Miss World Pageant mega annual event.